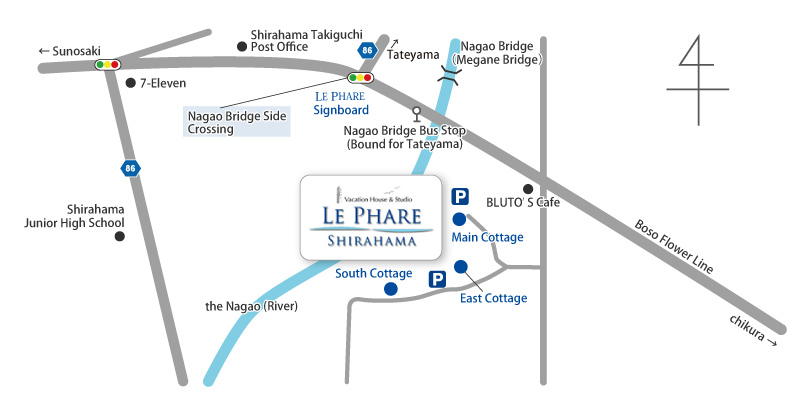 Le Phare Shirahama is located in Minamiboso, a region famous for its warm climate. We are easily accessible from Tokyo by either car, bus or train. Travel time is approximately 120 minutes by express bus. 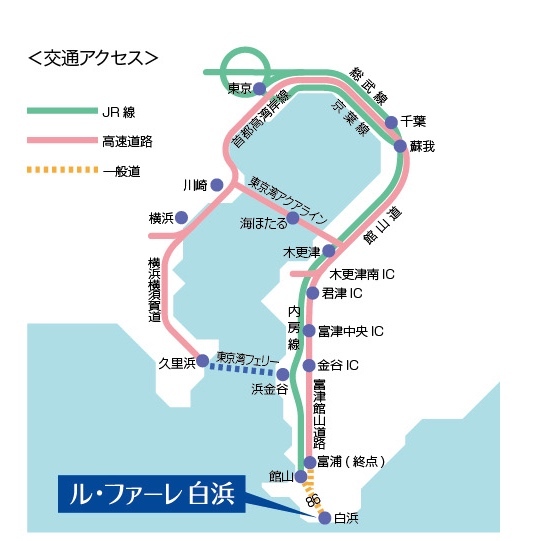 (From Tateyama Station, please use our shuttle bus.) If travelling by car, it is approximately 30 minutes from the Tomiura Interchange. ※　Please be sure to announce in advance if you need a shuttle bus pick-up. ※ You can come directly from Tokyo to Tomiura IC. ※ You can come directly from Kawasaki to Tomiura IC.